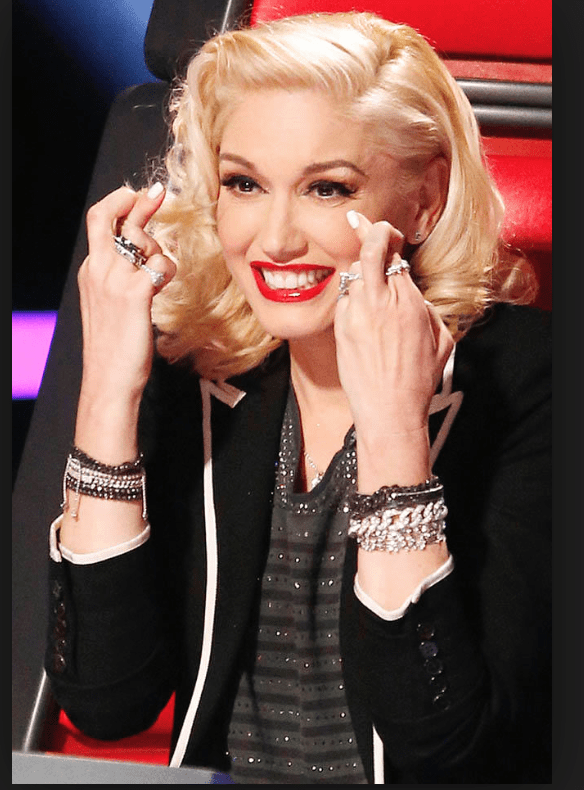 Season Nine of The Voice kicked off looking a lot like seasons 1-8. Blake Shelton, Adam Levine, Pharrell Williams and Gwen Stefani spun their chairs around in anticipation of finding the next rising star. But as I watched, I couldn’t help making some parallels between the way the world of The Voice works and what happens when women go to pitch VC’s. The ratio of male to female decision makers on The Voice are 3:1. This is generous for the VC world, where there the ratio of women are significantly less (only 3% of VCs are women). Even when women do come from a place of highly proven success like Gwen, Shakira and Christina Aguilera—it doesn’t take them nearly as far. I’ve sat in pitch sessions where men are funded on concepts and charisma alone while their female counterparts, demonstrating a proven track record, sales and enviable client list go unnoticed. It’s no secret that 93% of venture capital dollars go to men. Speak the same language and get down to business. You have more in common with the room than you may think and have the advantage of knowing the room will most likely be filled with men helps you be prepared. Make the audience friendly in advance. Conducting 1:1 meetings with those you’ll be pitching to is a great way to create influence and support before you even step foot in the door to pitch to a broader group. Invite one of your investor friends to serve as your host (for example, be the one that introduces you to the rest of the group). None of the female coaches have ever had a contestant who won The Voice or even had a contestant make it to the Top 3. Once the track record is set, it’s that much harder to stand out. Blake and Adam continue to proclaim, “I’ve won and I’ll win again.” If winning leads to more wins – how do you get that first win? Whether you’re the new intern at your first job or the CMO who just started at a new company, it’s about putting points on the board early in the game. Demonstrating confidence encourages others to listen and follow. To get those points, you’ve got to be willing to take a lot of shots. Don’t let one room dictate your success. Pitch and pitch often. To get that first point or that first “Yes”, you’ve got to be ready to take more chances and accept “No” more frequently. If you’re not picked, learn and move on until you find the right team for you. Bring in your pitch pros. It’s ultimately about the win and sometimes that means leaning on others to create credibility or presenting for you. If you know established entrepreneurs that are vested in you or your idea, ask them to attend your VC pitch with you or ask them to spread the good word about you to investors to “soften” the room. Gwen leaned on Pharrell her first season for support and you too should feel comfortable with asking a mentor or coach to be by your side. Let your passion fly. People want to be with people with potential and passion. Yes, it’s easy to bet on the New York Yankees, but it’s just as easy for people to root, pull for and support the underdog with heart. How you pitch may be a disadvantage. When you have booming personalities like Adam or Blake – it’s harder for someone like Gwen who is trying to emotionally connect to be heard. Women don’t interrupt as much. If a woman gets too feisty or energetic, she can be seen as aggressive or b*&^chy. So, what’s a girl to do? I saw the country’s first F14 female fighter pilot, Carey Lohrenz command an audience with the sweetest, most humble and ultimately badass delivery possible. She was herself, but she knew how to tell a story, how to project, how to remain succinct and how to take command of her information. Get pitch perfect (yes, you need to know your content inside and out) but you also need to know how to carry yourself—make eye contact, speak louder than you think you need to, use pauses to your advantage, avoid being flat, carry yourself well (posture) and be true to yourself. Do not let the room get away from you. When you’re in a room of investors, male investors, be prepared for potential heated discussions or loaded questions. It’s your job to bring people back to the task at hand. You’re in charge. Taking control of the room lets the audience know you do not get rattled, can handle things and know your content even under pressure. Almost all four chair turns go to the male coaches or VCs because men often relate to what men are selling. If you’re selling Spanx to a room of men they probably won’t instantly relate but if you’re selling a fantasy football app, bingo! Everyone wants to bet on a winner so be a winner. Help them relate. If your idea is not something the male audience can instantly relate to, then approach it like an artist and paint a picture. Demonstrate the pain point you are resolving, bring photos, tell a compelling story or make a video. Let them know why the customers matter. Market size is always important, but even more so when your audience isn’t aware of the power or need of your product or idea. Have your statistics at the ready (i.e. women are involved in 88% of the buying decisions for X or women spend $X on X). Testimonials and quotes used in a creative way can also be a great way to open up a new world to these investors. Venture Capitalists are business people first and men second. No one wants to get left out of the next great opportunity. If you can demonstrate a sound understanding of your target market and the revenue potential, the actual audience won’t matter nearly as much. In the end, it’s the power of the voice delivering the pitch that will get all heads to turn towards you.